圖6. 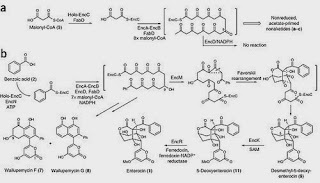 (a,b) Biosynthesis primed with acetate via the decarboxylation of malonate (a) and benzoate (b). 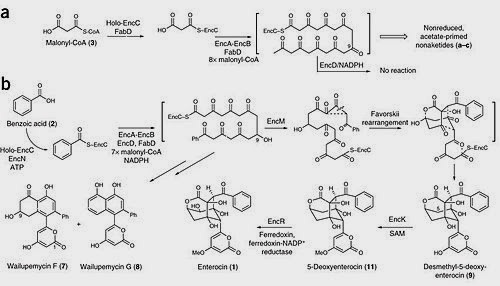 圖片來源：Nature Chemical Biology. 2007, 3, 557-558, scheme 1. 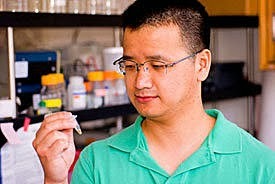 Also joining Cheng and Moore in the research were Dario Meluzzi of the UC San Diego Skaggs School of Pharmacy and Pharmaceutical Sciences and Longkuan Xiang and Miho Izumikawa of the University of Arizona. 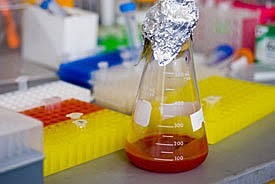 The U.S. National Institutes of Health supported the research. 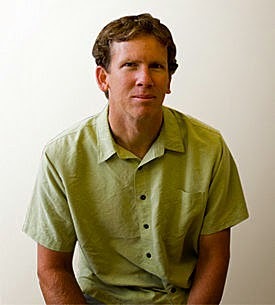 Note: This story has been adapted from a news release issued by University of California - San Diego. 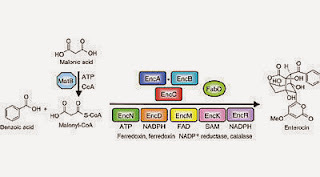 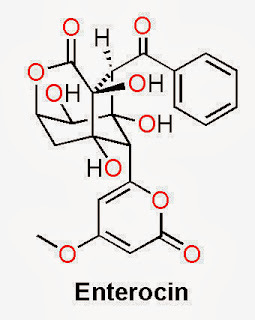 Enzymatic total synthesis of enterocin polyketidesNature Chemical Biology, 2007, 3, 557-558.